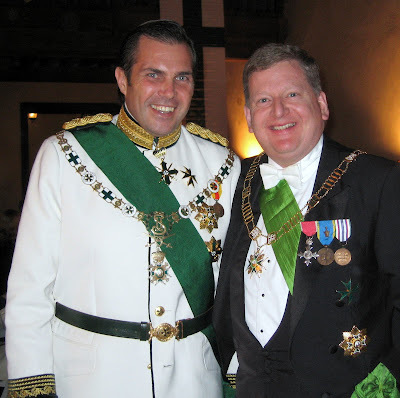 One of the first official acts of the new Grand Master, His Excellency Count Jan Dobrzensky z Dobrzenicks, was to raise the Commandery of Great Britain to the status of a Grand Priory with the Much Honoured Baron of Fetternear duly installed as Grand Prior and promoted to the rank of Knight Grand Cross. The Grand Master stated that this was done "In recognition of Great Britain's fidelity and growing strength" within the Order. This was wonderful news for the members in these lands, who have remained steadfast in their fidelity to the aims of the Order under the inspiring leadership of the Baron of Fetternear. We are delighted that he will now lead our Grand Priory. Due to the personal ambitions of some within the former Grand Magistery many former members of the Commandery of Great Britain broke away from the Temporal Protection of the Royal House of France to form their own Green Cross Organisation, leaving our numbers diminished. Our new status is all the more welcome since it may help those who have left us to reconsider and return to the Order. 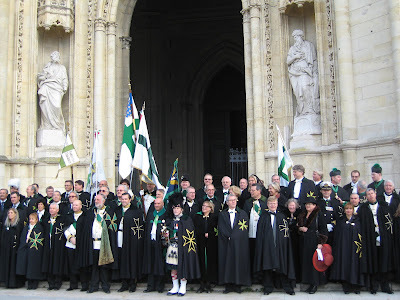 The new Grand Master has made such reconciliation a priority as do we in the Grand Priory of Great Britain.